September 's Prisoners and Battle of the Year have been added to our Long Range Forecast this week. - The ensemble cast led by Hugh Jackman, Jake Gyllenhaal, and Viola Davis. - Buzz around the first footage out of CinemaCon was very positive. - Any possible Oscar buzz could prolong the film's run well into the fall season. - Crime dramas can be hit and miss at the box office. 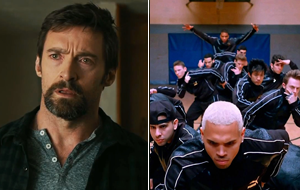 - Dance-related movies have found their share of success in the past, so we don't want to rule out another hit. - Teenagers could drive this on opening weekend. - The lack of any recognizable star names. - It's easy to make a strong case that dance flicks are past their prime by now. - Is Chris Brown going to help or hurt the film's appeal? We're betting that he'll hurt it now that he has angered a lot of female fans. Prisoners Sep 20, 2013 Warner Bros.
Getaway Aug 30, 2013 Warner Bros.